A noted watercolor and oil painter of western scenes and member of the Cowboy Artists of America, James Boren was born in Waxahatchie, Texas, the son of a minister, and from 1971, he lived in Clifton, Texas. Because of the influence of his father, he continued to regard himself as a religious person. He knew as a teenager that he wanted to be an illustrator but his schooling at Southwestern College was interrupted by four years of military service in the Marines during World War II. After the war in 1951, he earned his M.F.A. from the Kansas City Art Institute* and then taught for two years at St. Mary's College. With his earnings, he traveled the Southwest and also painted in Alaska, and in 1956 moved to Denver where he worked as a concept illustrator for the Martin Company. 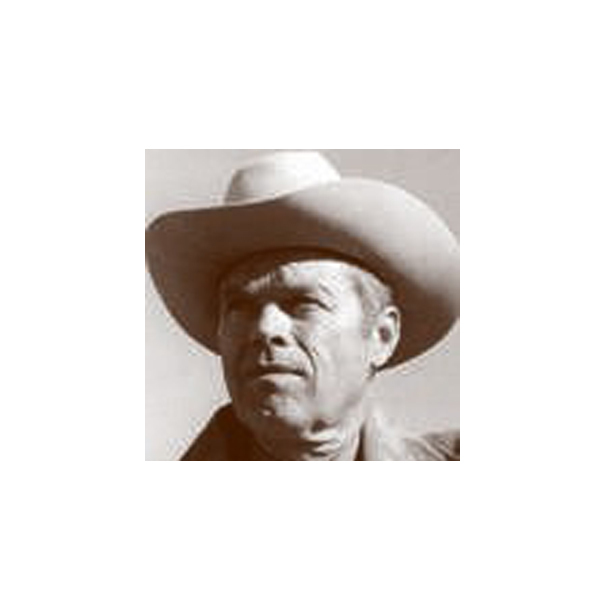 In 1959, he began selling cowboy paintings, and in 1964, he became the first Art Director of the Cowboy Hall of Fame in Oklahoma City. He loved that job because he met so many of the artists he admired. He first exhibited there in 1969, having become a full-time fine art painter the year before. At his first exhibit, he sold thirty-eight of the forty paintings, and this success gave him the confidence to remain a full-time painter. He was named Texas State Artist of the Year, and as a member of the Cowboy Artists of America*, won the gold medal in watercolor seven times. His paintings consistently reflected his belief that the American cowboy had the star role in the drama of the West - the most beautiful country anywhere.